Modern earth sciences have proven that mountains have deep roots under the surface of the ground and that these roots can reach several times their elevations above the surface of the ground. So the suitable word to describe mountains on the basis of this information is the word 'peg', since most of a properly set peg is hidden under the surface of the ground. The history of science tells us that the theory of mountains having deep roots was introduced only in the latter half of the nineteenth century. Mountains also play an important role in stabilizing the crust of the earth. 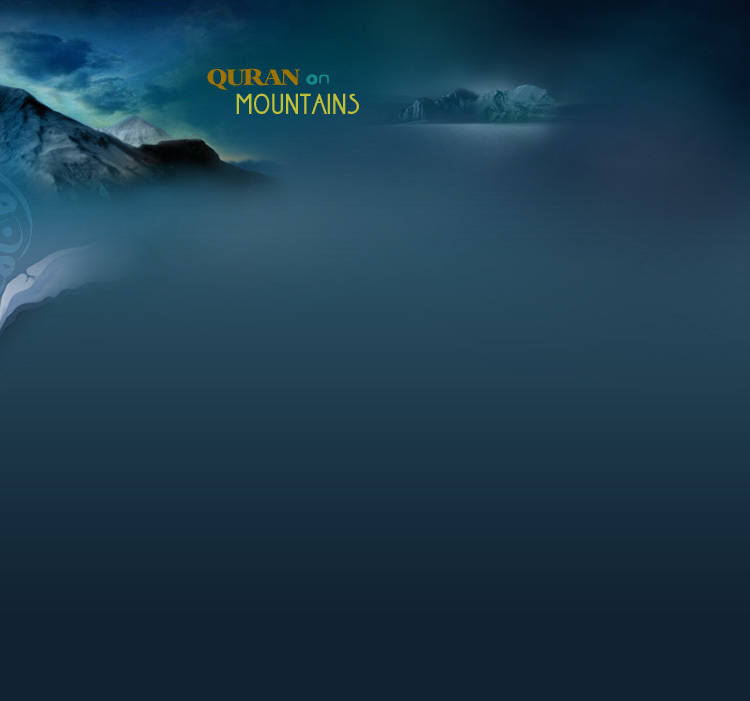 Could anyone during the time of the prophet Muhammad (peace be upon him) have known of the true shape of mountains? Could any one imagine that the solid massive mountain which he sees before him, actually extends deep into the earth and has a root, as scientists assert? A large number of books of geology when discussing mountains, only describe that part which is above the surface of the earth. This is because these books were not written by specialists in geology. However, modern geology has confirmed the truth of the Quran's verses.